When you leave a comment on THIS post by 6 p.m. CT Sunday, April 21, 2013 you'll be entered in the DRAWING for a copy of the book I review below. If you mention in your comment that you’re a follower (see in the left column “Join This Site” and “Follow by Email”), I’ll add your name a second time in the drawing. You must be eighteen, have a U.S. mailing address, void where prohibited. You can read details about my book giveaways at Disclaimers. Our guest today is Sharon Srock and she has graciously offered a copy of her book to the winner of a random drawing from commenters to this blog post. Sharon lives with her husband, Larry, and two dogs in Rural Oklahoma. She is a mother, grandmother, and Sunday school teacher. Sharon has one and three-quarters jobs and writes in her spare time. Her favorite hobby is traveling with her grandchildren. 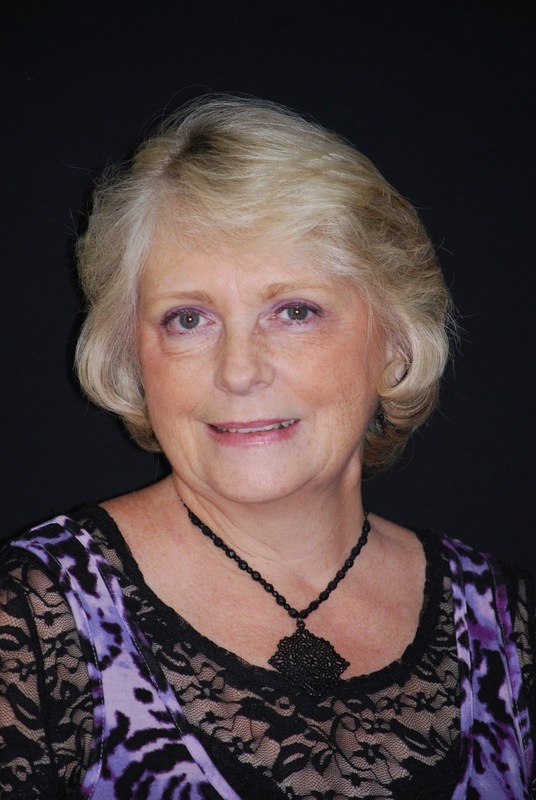 She is a member of the ACFW and currently serves as treasurer for her local chapter. Sharon’s debut novel, The Women of Valley View: Callie, released in October 2012. The second in the series, The Women of Valley View: Terri releases in April 2013. JO: Welcome, Sharon. Please describe yourself with three words. JO: Please tell us a little about your novel, Terri. SHARON: A day care worker hungry for a family of her own falls for a writer with all the family he needs. JO: Is Terri’s character based on any “real live” person? SHARON: Nope. You will find me in Terri’s struggle to accept God’s will in her life, but she’s her own person. JO: Tell us about your journey to getting this book published. SHARON: Writing Callie (the first book in the series) was such a compulsion for me. I couldn’t get away from it, and I did try. I thought once it was “out of my system” things would go back to normal in my organized little life. I thought that all the way up to the morning I woke up with Terri’s whole story in my head. I was pretty convinced I was going crazy. Told some friends that “I quit”. That lasted about 24 hours. JO: What takeaway value do you want your readers to have? SHARON: That God knows our beginning and our end. That just because the path may look different than we imagined, it’s the final destination that counts. JO: What novel have you recently read that impressed you that both teens and adults could enjoy? SHARON: Vanished by Irene Hannon. Great suspense for all ages. JO: I have a list of my 5 favorite novels I’ve read. Please tell us your 5 favorite novels of all time. I love the legend of Merlin and Arthur. This is a 4 book series by Mary Stewart that for me defines the “history” of these characters. JO: What people have inspired you in your writing career? SHARON: My critique partner, Robin Patchen. My good friend, Kaye Whiteman. She has been my chief cheerleader, prayer warrior, and designated encourager since I first picked up a pencil. JO: If you could have dinner with one person from today or history who would it be? JO: What do you find the most enjoyable about writing? JO: Do you have a nugget of writing advice that has completely changed how you view writing? SHARON: Find a critique partner. Writing is not a solitary journey. Find someone that understands you and work together. JO: Where can readers find you online? JO: Where can readers purchase Terri? SHARON: There is also a free 39-page PDF file that my publisher and I put together to introduce my women to readers. It can be downloaded here. JO: Sharon, thank you for spending time with my readers today and telling us about Terri. One of my readers will win the random drawing for a copy of Terri. Remember: leave a comment on THIS post by 6 p.m. CT Sunday, April 21, 2013 and you'll be entered in the drawing for a copy of Terri by Sharon Srock. You must be eighteen, have a U.S. mailing address, void where prohibited. Please, please remember to leave your email address so that should you be the winner I can get in touch with you for your mailing address. I’ll announce the winner in Monday’s blog. Jo, thanks for hosting me today. I look forward to visiting with your readers. Shelia, thanks for coming by and reading about Terri and leaving your comment. Shelia, I hope my books will touch women on many levels. Good luck! If you really like stories about Merlin and Arthur, you should try watching the tv show, Merlin, on the Syfy channel. It is really enjoyable. Thanks for having the giveaway. I'm a follower by email. Rose, you're welcome. Thanks so much for being a follower of my blog. Glad you came by and left your comment. Rose, I've heard of the show, but I have so little time for TV theses days. Maybe there will be a DVD set I can watch here and there at some point. Good luck in the drawing. Sounds like a good book. Thanks for another giveaway. Deanna, you're welcome. Thanks for coming by and reading about Terri and leaving your comment. I appreciate you being a follower of my blog. Deanna, I hope you enjoy if you get the chance to win it. I have attempted to win one of your books in more than one place. I would love to win, get to know you as an author, review the book, and share it with someone. I hope you'll take advantage of the free PDF and read the books, even if you don't win. Good luck. Maxie, you're welcome. I so appreciate you being a follower of my blog. Thanks for leaving your comment. I got you down for that extra entry because you commented on my Monday blog--character interviews from my book. Hi, Maxie, always great to see you! Karen, so glad you're a follower! Glad you came by and left your comment. Bonnie, thanks so much for stopping by to read about Terri and leave your comment. Bonnie, thanks for taking the time to say hello. Thanks, Jo, for letting us get to know Sharon better. I'm completely opposite Sharon when it comes to rewriting and editing. lol. I keep telling myself, I can't edit what I haven't written. Terri sounds like a great book. Pat, you're welcome. Thanks for coming by to meet Terri and Sharon and leaving your comment. I appreciate you being a follower of my blog. HI Jo! Hope all is well. Your book sounds great Sharon and I'd love to read it. Thank you for the opportunity! Wanda, I hope you'll find the time to enjoy my stories, winner or not. Good luck! Wanda, thank you, and hope you are well also. Thanks for stopping by and leaving your comment. Thanks for a great post Jo and Sharon and the giveaway. Marianne, you're welcome. Thanks for coming by and reading about Terri and Sharon. Also thanks for leaving your comment. Love that Sharon's goal for readers is the fact that "God knows our beginning and our end". Our life is written by Him, we see one page at a time and He knows the "finale" and everything in between. I haven't had the privilege of reading her books,but will in the future after reading the interview. Thanks for the giveaway and I signed up to be a follower of you Jo! JoJo, So glad you've found a new author you like. I appreciate you signing up to be a follower of my blog! Fascinating interview, Jo! Thanks for telling us more about yourself and your story, Sharon! Many blessings! Carrie, I'm glad you came by and read about Terri and Sharon. Thanks for leaving your comment. Martha, I hope you find the time to read both Callie and Terri. I'd love to hear your thoughts. Martha, thanks for reading my blog and learning about Terri. Glad you left a comment. Oops, I left out part of my e-mail. It's marthamusic17@aol.com. Sorry. Martha I signed up to be a follower. Martha, I appreciate you signing up to be a follower of my blog! Thanks for the chance to win this book. I've heard great things about this! Hi, glad you came by to read about Terri. Thanks for your comment. Pat, you made me smile. I Love it when people say good things about my women. Shelley, you're welcome. Glad you enjoyed the book review. Thanks for stopping by and leaving your comment. I appreciate so much you being a follower. Thanks for taking the time for a visit. Good luck in the drawing. Excited to download the pdf file. I am new to your writing. so even if I win your latest book, I will be purchasing the other one. Good luck in your writing. Martha, glad you came by and discovered an author new to you. Thanks for leaving your comment.